You guys all know that I’m not shy about trying different cuisines. 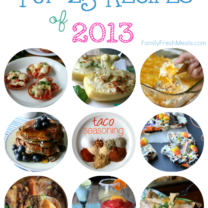 I’ve got tons of Italian dishes and Mexican dishes in my collection, and I’ve tried every Asian cuisine from Chinese to Thai to Korean to Middle Eastern. But sometimes, I have to say, there’s nothing quite like simple, down-home American fare. 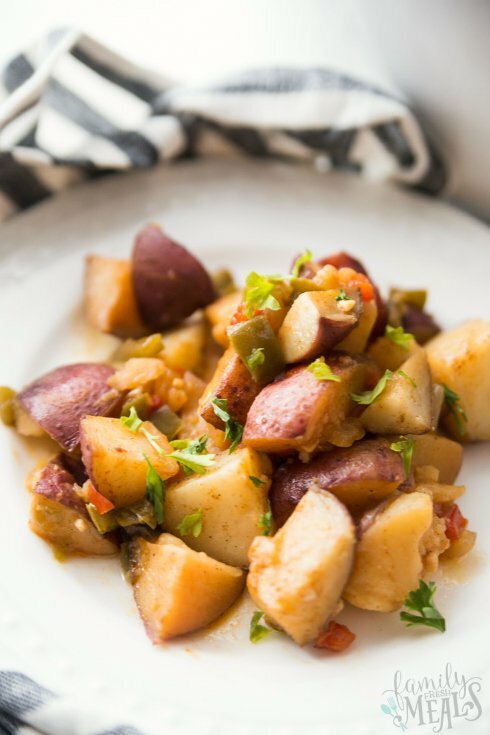 Country potatoes are a good example. 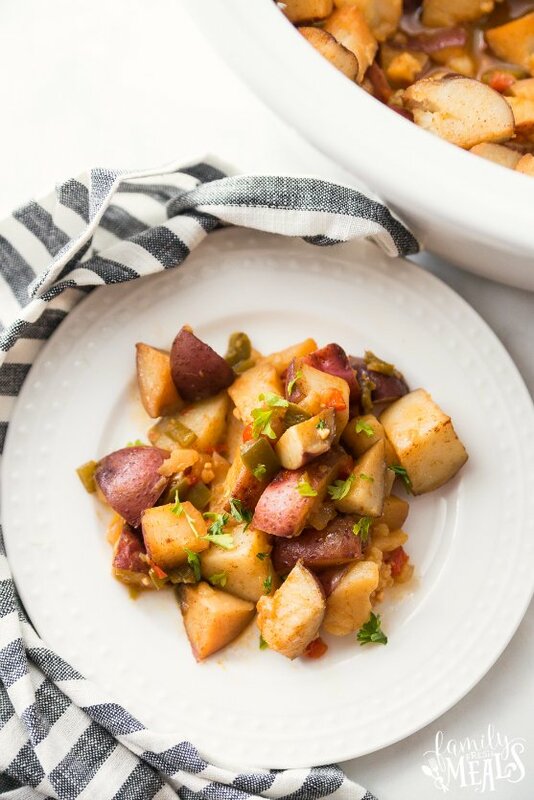 These are a kind of dressed-up version of hash browns: big chunks of potato, fried together with diced onions and peppers and topped with just a touch of paprika. Perfectly simple, yet completely satisfying. 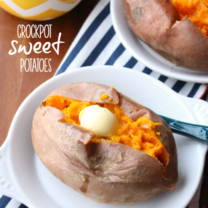 My Crockpot Country Potatoes makes this simple dish even easier by leaving out the frying pan. 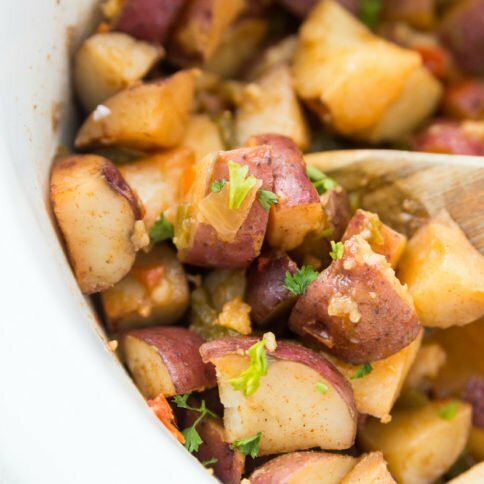 All you have to do is put your potatoes, onions, and peppers in the Crockpot with butter and seasonings and let them cook until they’re tender – about three hours on high or five on low. 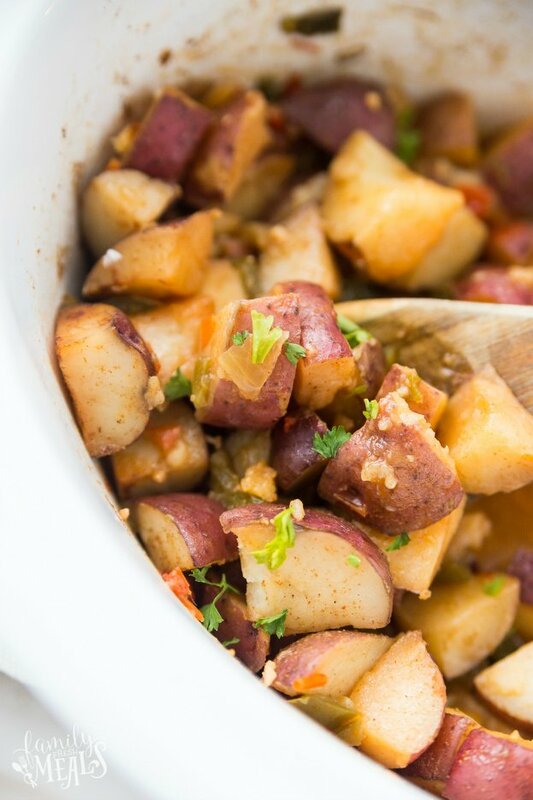 With starch and veggies in one pot, all these taters need to make a complete dinner is any kind of protein. They go equally well with meat, fish, or scrambled eggs if you want to make the whole meal vegetarian. 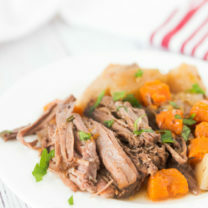 Whatever way you choose, it’s a simple, hearty meal that satisfies both your tummy and your taste buds. 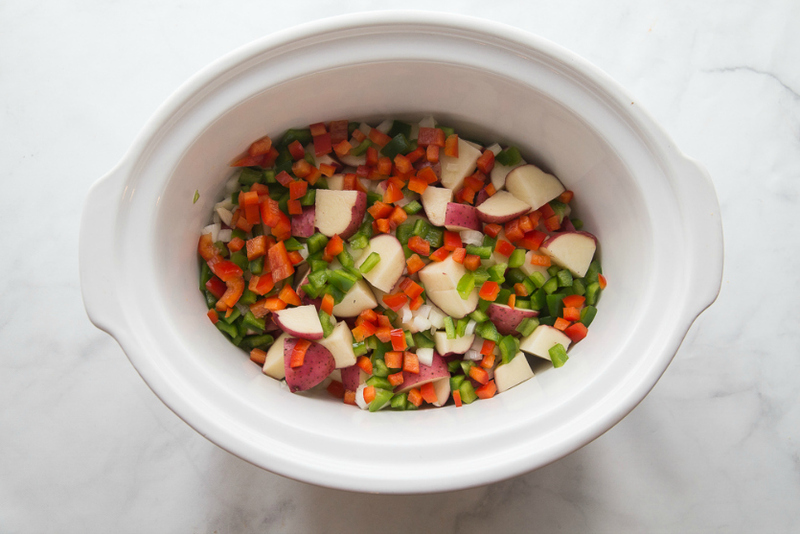 Prepare 5-6 quart crockpot with nonstick spray. 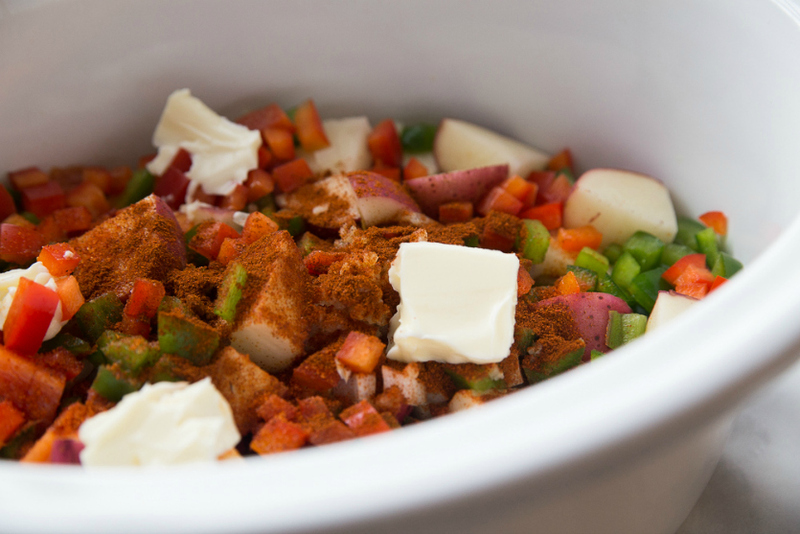 Add the potatoes, green bell pepper, red bell pepper, onion, garlic, seasoned salt, paprika, and butter. Stir to well combine. Cover and cook on high for 2 1/2 to 3 hours or on low for 4 to 5 hours, or until the potatoes are fork tender. 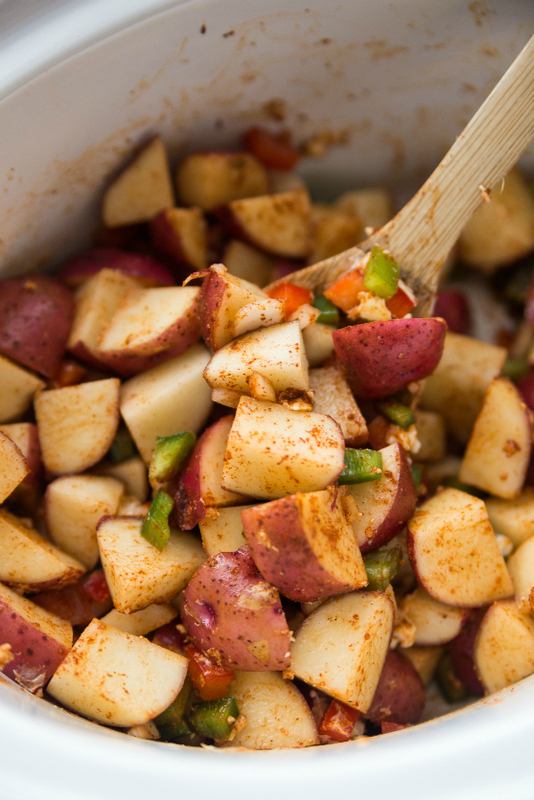 The cooking time will vary based on the size of your potatoes.When cooking time is up, stir, then add additional salt and/or pepper to taste. 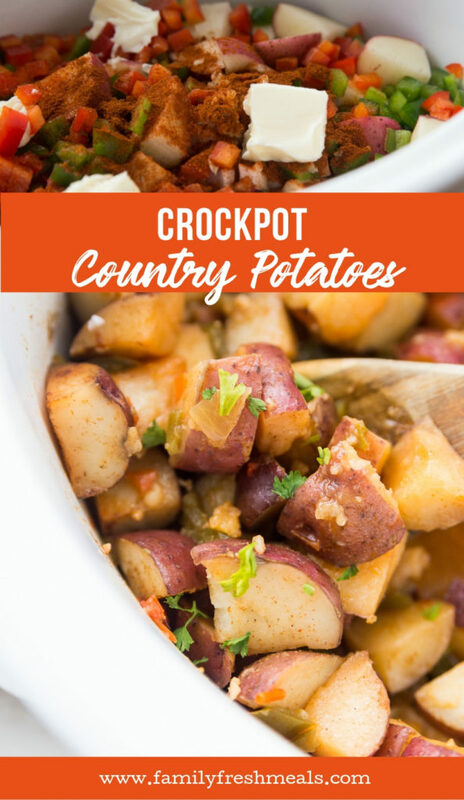 My Crockpot Country Potatoes makes this simple dish even easier. 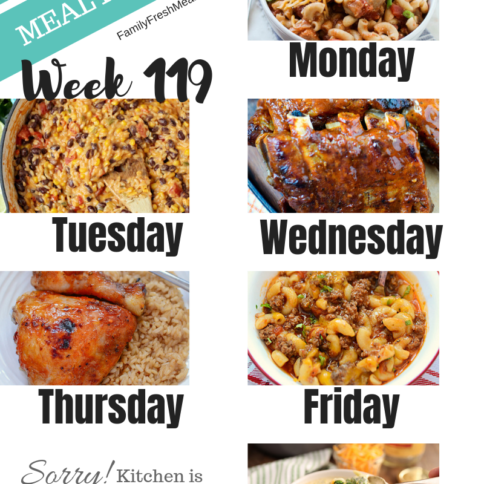 All you have to do is put your veggies in the slow cooker with butter and seasonings! Cover and cook on high for 2 1/2 to 3 hours or on low for 4 to 5 hours, or until the potatoes are fork tender.